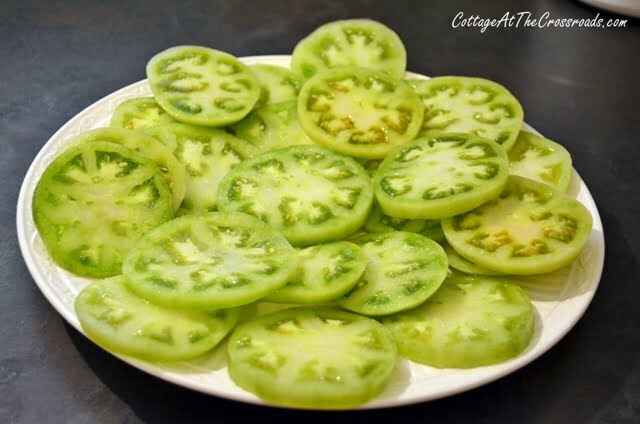 I made some fried green tomatoes yesterday and they were so delicious that I thought you might like the recipe, too. You know, you really can’t let summertime slip by without making some of these. To make this dish you are going to need about 4 or 5 green tomatoes. Luckily, our plants are still producing plenty of tomatoes, but if you don’t have any homegrown tomatoes, you can usually find them at farmers’ markets at this time of year. I start by making the remoulade sauce because you can make it earlier in the day and store it in the refrigerator. 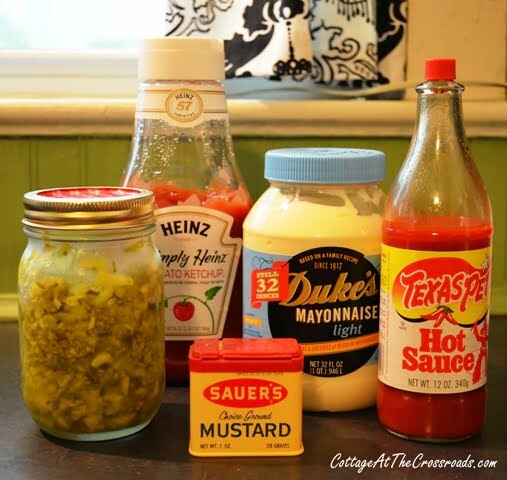 You will need 1 cup mayonnaise, 3 tablespoons ketchup, 2 tablespoons dill relish, 1 1/2 teaspoons dry mustard, a few drops of hot sauce such as Texas Pete, and salt and pepper to taste. 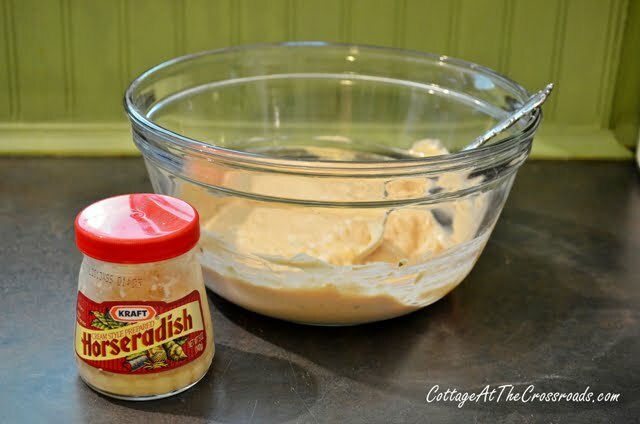 We like things pretty spicy around here so I also add 2 tablespoons of prepared horseradish. Cover and store the sauce in the refrigerator until you are ready to serve. 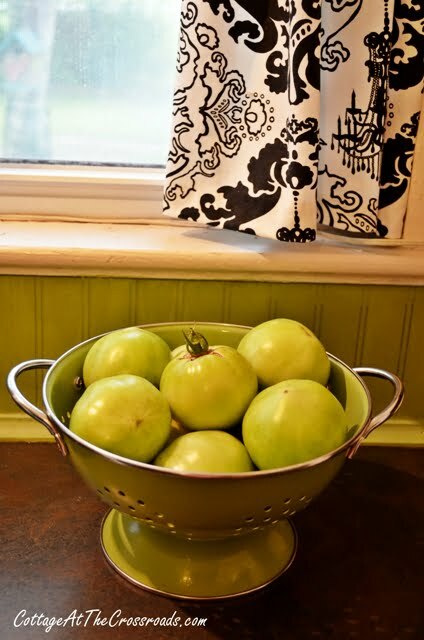 Wash and slice your green tomatoes. Leave the peel on the tomatoes and slice them about 1/4 inch thick. Be careful not to slice them too thin or they’ll fall apart as you are cooking them! To make a coating for your tomatoes, mix together 3/4 cup yellow cornmeal, 3/4 cup all-purpose flour, 3/4 cup panko Japanese breadcrumbs, a teaspoon each of salt, pepper, and garlic salt, and a pinch of cayenne pepper. 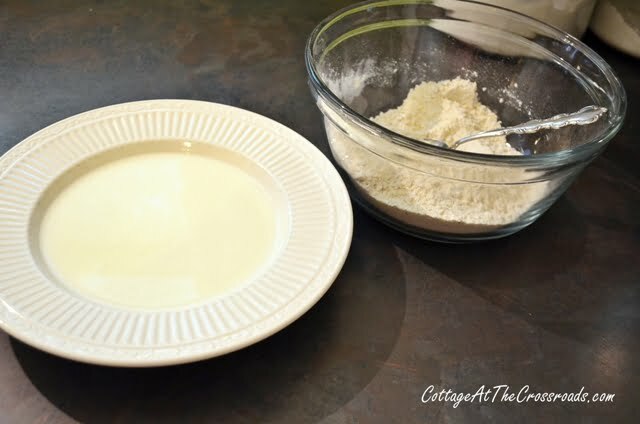 In a shallow bowl, add 1 cup buttermilk and place your two bowls side by side. Meanwhile, heat 1/2 cup vegetable oil over medium-high heat in a heavy pan, preferably a cast-iron skillet. Dip each tomato slice in the buttermilk and dredge in the cornmeal mixture. Fry the tomatoes, in batches, until the crust is golden brown and crunchy, about 4-5 minutes on each side. Drain the tomatoes on paper towels. Transfer the fried tomatoes and the remoulade sauce to a serving platter. There are certain dishes that scream summertime and this is one of them. 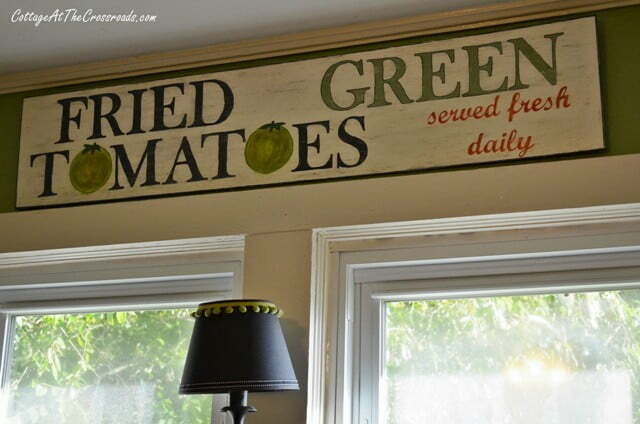 We like them so much that I made a Fried Green Tomatoes wooden sign to hang in our kitchen! « New Sponsor and a Thirty-One Gift Certificate Giveaway! I am headed to the store to get the ingredients I’m missing. I live in New England and crave the appetizer I seem to be only able to get down south. I can tell this recipe will be the one to solve my geographical problem! 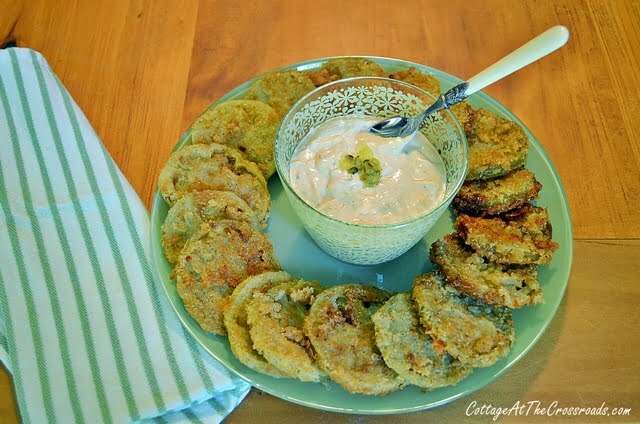 I love fried green tomatoes, I am going to give this a try! These… just sound and look ahhhmazing!! Pinned! They look so good! Thanks for sharing! LOVE fried green tomatoes…but the squirrels have eaten EVERYTHING this year! Thanks for sharing your recipe. I love fried green tomatoes! Yours look amazing, yummy!! Yummy! We love fried green tomatoes! and I absolutely love the sign!! Jane~ Your fried green tomatoes look wonderful with their golden panko & cornmeal crust! My husband was talking about frying some the other day.Thanks for posting your recipe~ I adore your sign! Jane, I have never tired using the Japanese bread crumbs before, but I think I will have to try it! It has been an odd gardening year here, but then again the past several years have been odd gardening years. Our tomatoes have not done well, so a trip to the farmers market is in order! Thanks for sharing with us! One of these days I am going to have to try those! Hey, they are FRIED. They’ve got to be good! Oh, Jane! Fried green tomatoes are one of my favorite things! I may have to make some for breakfast now. I LOVE your sign!!! 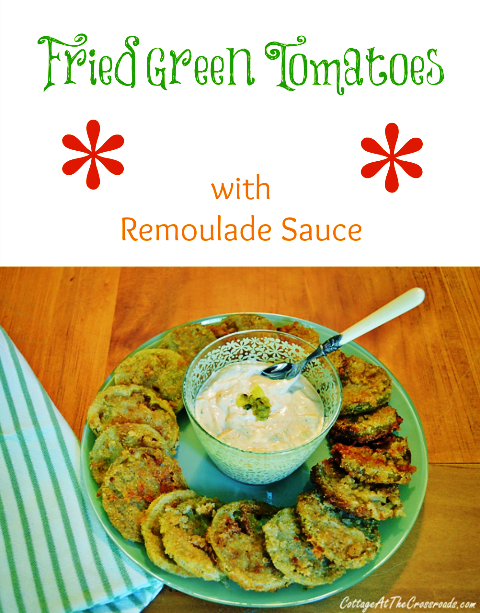 Fantastic recipes!…I so love Fried Green Tomatoes!…and the sign is the best!!! You are so fortunate to partake of the “fruits of your bounty”!!! Yummy! 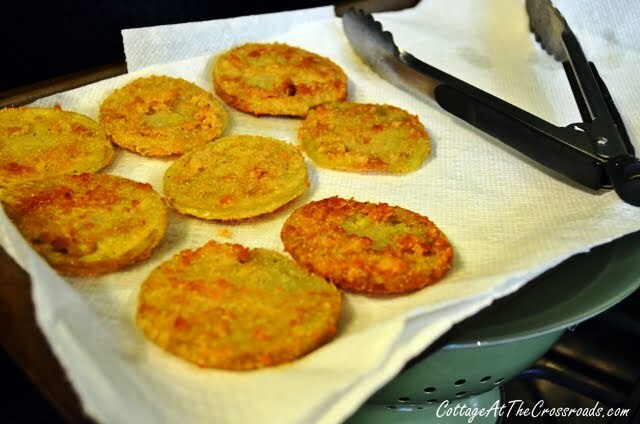 I have always loved fried green tomatoes, but have never made any myself. This is our first year gardening and we kind of overbought in the area of tomato plants! We have SO MANY. So, I am totally going to pop some green ones off and make this for a neighborhood party we have this week! Thanks for sharing! 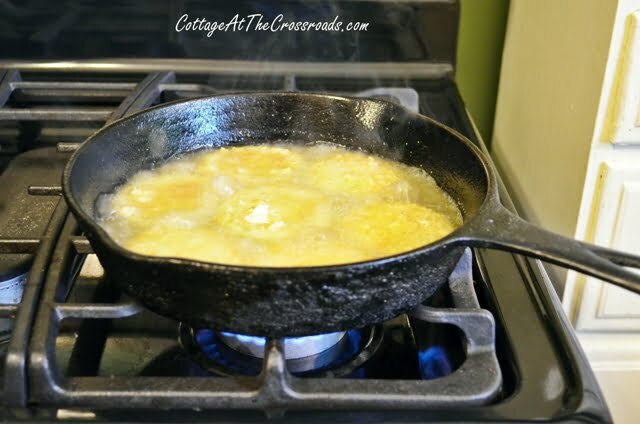 Guess I am going to bring my cast iron frying pan out of retirement! 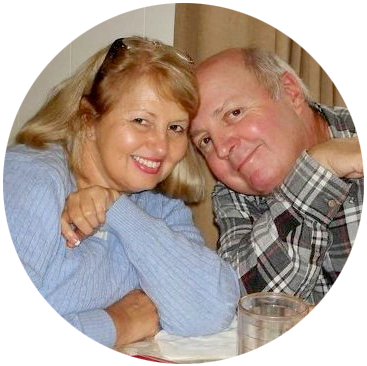 Love what you & Leon are doing to the home place! Those look amazing ! Love your sign ! I haven’t had fried green tomatoes in ages and I miss them! These look delicious! And your sign is just awesome! I will have to try your recipe out. My Mom use to make these all the time. She would dip them in eggs and seasoned flour and just fry them. Yours looks good and we do like spicy foods. Those fried green tomatoes look delicious!!! Boy, this makes me miss Birmingham, AL. I think I need to go to the store. The sauce sounds great also. And, yes I do have a cast iron skillet.